Security with Pacific Style! You can find us at the corner of Lind and Railroad. You'll never miss us! Another great year here in Skagit Valley. We are here to help! We are proud to announce that Lucas McKay just became a Certified Irrigation Technician by the Irrigation Association. Nice work Lucas! We are expanding our business to include Street Sweeping and Vacuum Services! We are constantly striving to help our costumers ensure their property is presentable in every way. Let us know if you are interested in our new street sweeping service. Thank you for making the 2018 SICBA home show a success! We had a great time chatting with new and existing costumers. The greenhouse kept us warm! 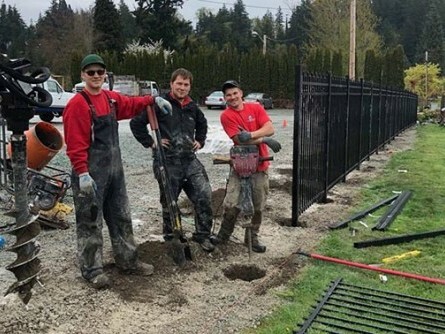 A special thanks to Charley's greenhouse, Sound Cedar, Wiggins Nursery and Tacoma Screw. These vendors provide the best materials for quality construction. 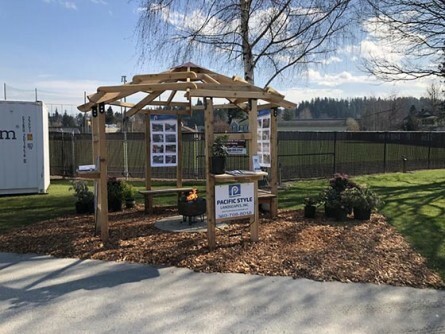 It was a pleasure to be a part of the community at the SICBA home and garden show this year. It was a cold and rainy one but we were nice and toasty, thanks to Craft Stove, for lending us a propane fire pit. It turned out great, we even won best in show! Thanks everyone for stopping by and saying hello! We are preparing for the 2017 SICBA home and garden show on March 24-26 at the Skagit Valley Fairgrounds. Come see our booth and say hi! This client has been toting this 250 pound locomotive bell around with him for the last 40 years. 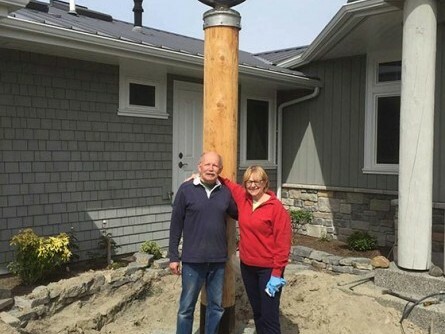 We finally raised the bell on a 12' Cedar post. 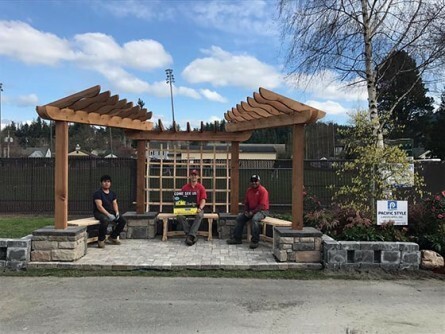 It was an exciting day for the client and our Landscape Crew. 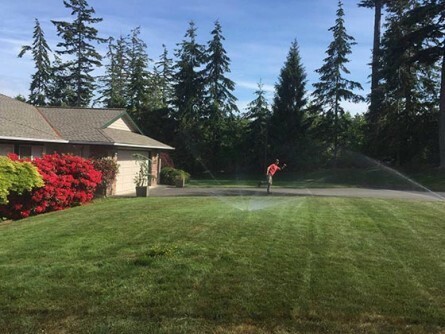 Its time to turn the irrigation back on! Ed ('the running man') is working like mad to make sure everything is running in tip top shape. 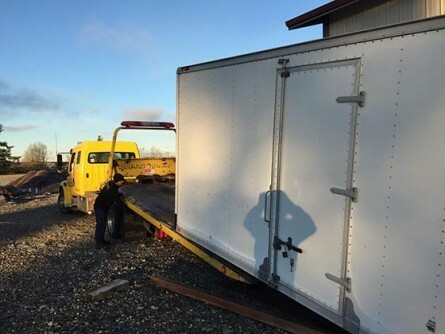 Thanks to our friends at Budget Towing, we were able to move our storage containers to our new shop. We can get organized now! This time of year keeps us busy with pruning of trees, shrubs and perennials. 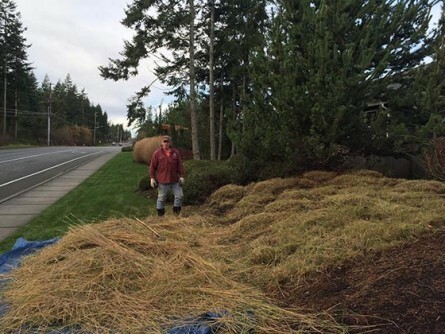 We were busy trimming these Miscanthus grasses at one of our client's properties in Oak Harbor. They were almost as tall as Howard!